I've always liked how minecraft cannons were built, but they were always too wasteful and time consuming to be used realistically. I set out to change that. 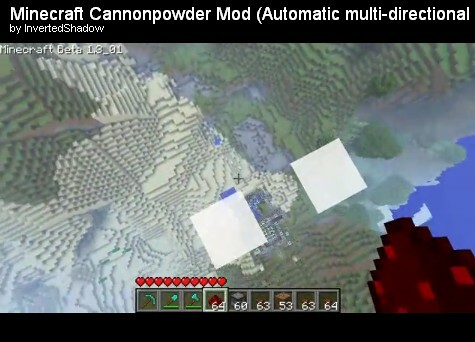 Cannon powder works exactly like tnt, except it doesn't remove blocks or damage entities. It's used to push things. I also hooked up the dispenser to spit out live TNT / CannonPowder instead of just the item. 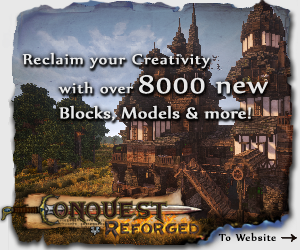 You can use it to create cannons, elevators, traps, etc. Wow, this mod is excellent! Can you make this mod for SMP? Thats would be great! I HATE IT IT NEVER PUSHES THE TNT OUT OF THE BARRLE! I Can't Download it. Please upload it on a other Uploadsite! This is awsome. You could make a gravity mob trap with this. The mod may be incopitable with another, but because of that hes not a noob! i think its easier for him/her to help you if you say more than "noob my mc crashed fail"
does it work on 1.6.6? how did you make it spit out live cannon powder?